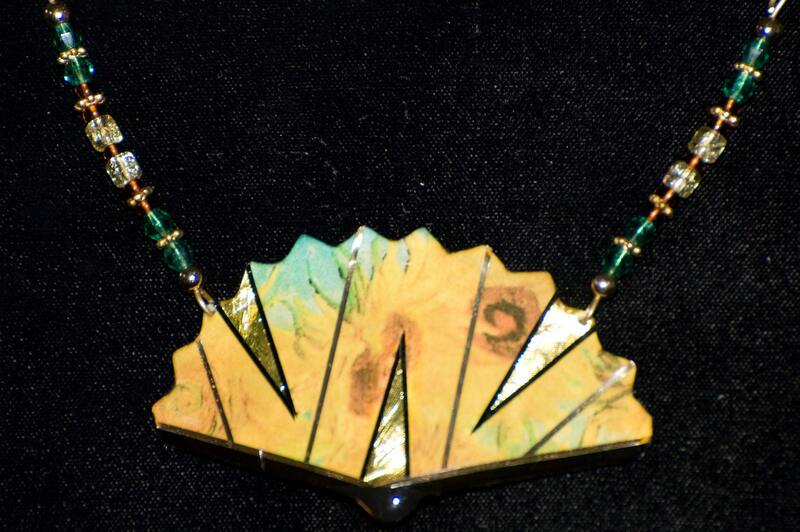 Hand made Fan necklace with an image and graphics encased in brass and fiberglass. Fan is held with beads on a wire and cording. Image is of a famous art history painting by Van Gogh.